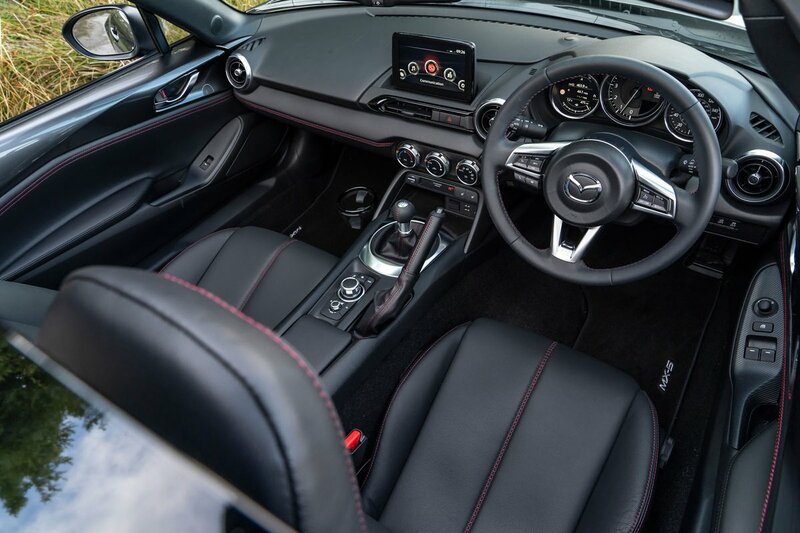 Mazda MX-5 RF Boot Space, Size, Seats | What Car? 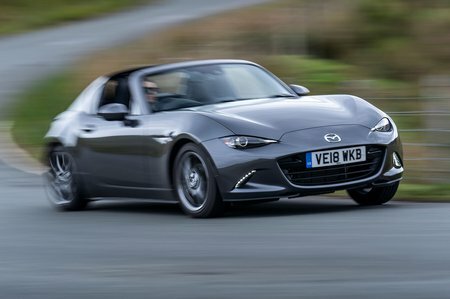 The MX-5 RF is a small car, so if you fancy one but are over six-feet tall, make sure you try before you buy. The fact that you can easily touch the passenger door from the driver’s seat is a good indicator of this and means that shoulder room is tight if someone is sitting next to you. Leg room is also tight, and you’ll likely find your head brushing the roof lining, too. If you’re closer to average height, the interior still seems cosy, but you should have enough space. Storage space is also compromised, with no door bins or glovebox. The only place to stow your paraphernalia is a shallow cubby under the central armrest or a slightly larger cubby between the two seats. The MX-5 RF is a two-seater, so it really has no rear space at all. There isn’t even room for a bag hook, so you’ll struggle even to squeeze a jumper into the narrow gap between the rear wall and the seatbacks. The only concession to storage space is a couple of removable cup holders that slot in between the two backrests. The front passenger seat has lever-controlled backrest angle as well as the normal back and forth sliding movement. You don’t get height or lumbar adjustment on any trim or as an option. Electric seat adjustment isn’t available, either. 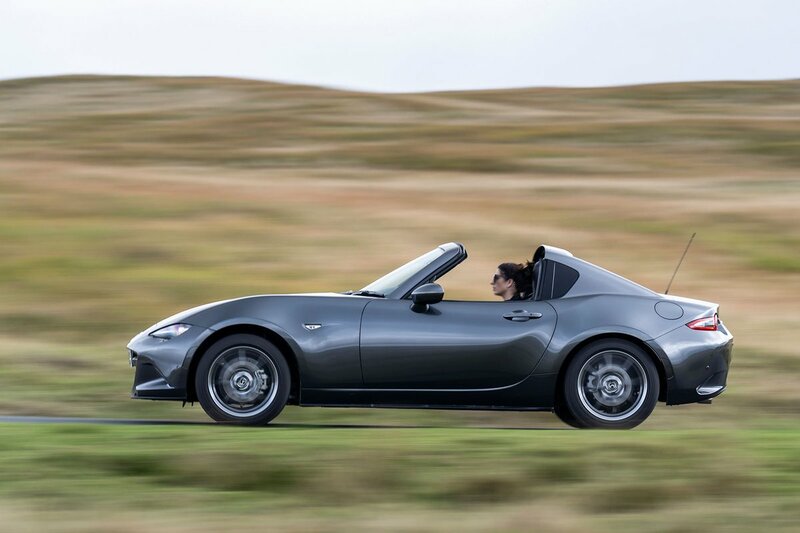 Like the regular MX-5, the RF’s boot space is the same whether the roof is up or down, the metal roof and its mechanism only steals one extra litre of space compared to the soft-top. It’s not vast, but considering the size of the car, the fact that it’ll take two travel-sized suitcases makes it useful for a weekend away. You'll struggle with anything bigger; if you play golf or the trombone, these will have to sit on the passenger seat. There are a couple of other downsides, notably the boot's high load lip and fairly narrow opening that make loading chunky items a pain.